Meet Cliff Barackman in Newberg Oregon where he will host a fundraising event for the Newberg Animal Shelter. The Newberg Animal Shelter Friends present the 1st annual Wine & Whiskers. Join us the evening of April 30th in the Ballroom at the Chehalem Cultural Center for the 1st annual Wine & Whiskers. This wine themed event features a wine wall, silent auction, live auction, heavy hors d’oeuvres, delicious desserts, and of course wine. 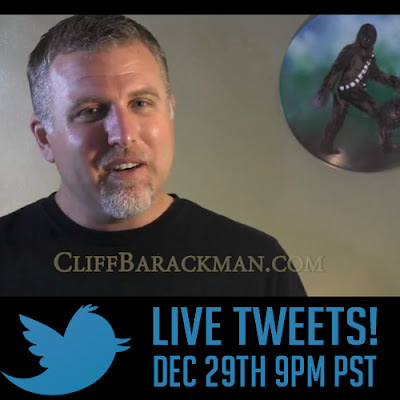 Cliff Barackman of Animal Planet’s Finding Bigfoot is our MC for the evening. Event photography by Cindy Rose. Drinking wine available for purchase by the glass by Fox Farm Vineyards. Tickets are $40 per person, or $300 for a VIP reserved table for 8. 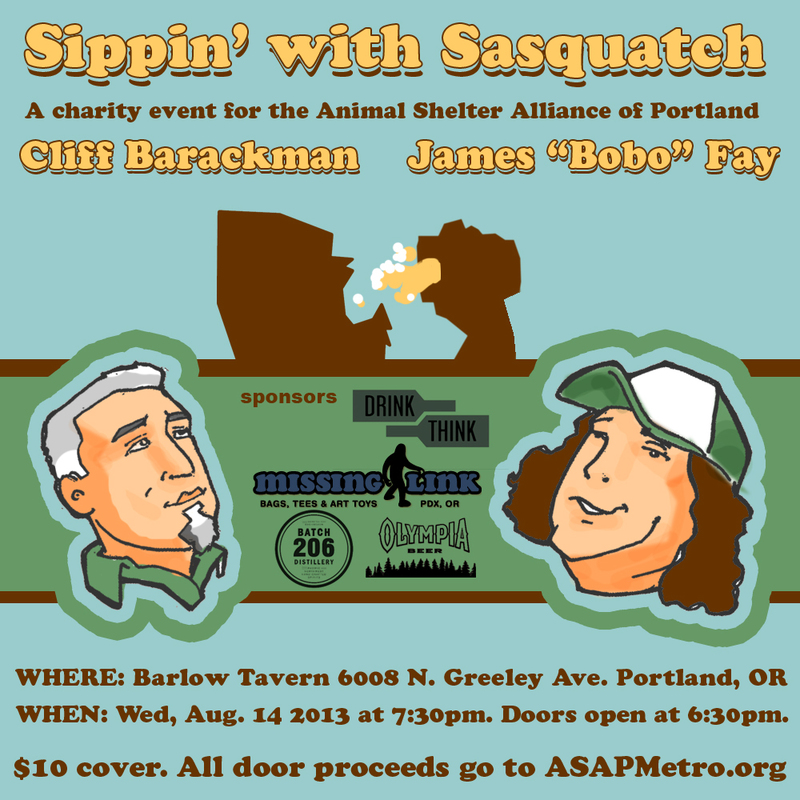 Tickets are available here for purchase on Event Brite, or in person at the shelter. All funds raised go to the Newberg Animal Shelter. 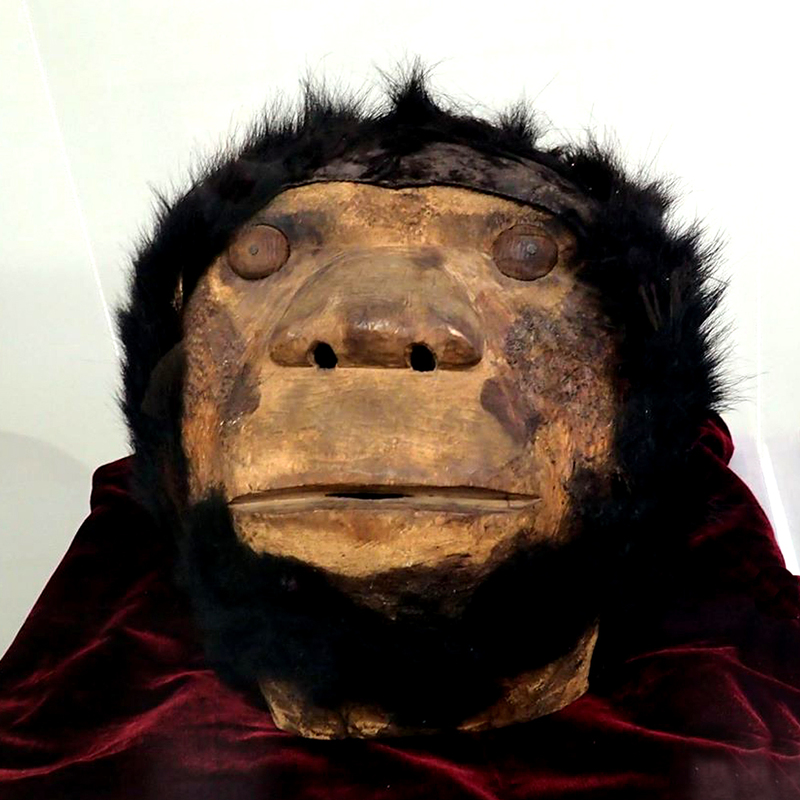 It easy to forget, even after almost a decade of explaining to laypeople about bigfoot, that some people think that bigfoot is a singular entity. 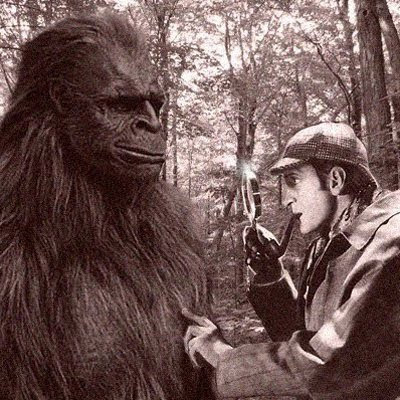 Sure, it would explain why the big guy (girl) is so elusive, but most of us think that bigfoot is a biological mammal that would require a breeding population to exist. 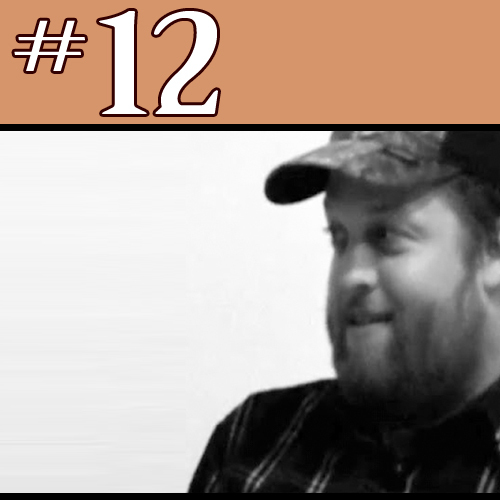 When asked what he thought a Sasquatch was, Meldrum said, “One important thing to stress is that it’s not just one individual creature, because then you would have a monster if it was a single, lone being. 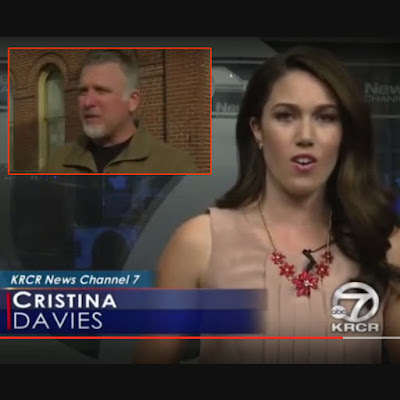 You can watch Cliff Barackman's full interview clip below. Nailed Magazine is self-described as "arts and culture magazine that features candid writing, essays, art, poetry, fiction, comics, interviews, letters, photography, and more. NAILED was founded on five defining adjectives that we constantly strive to reflect in the content that we publish: artful, passionate, raw/honest, challenging, and intelligent." 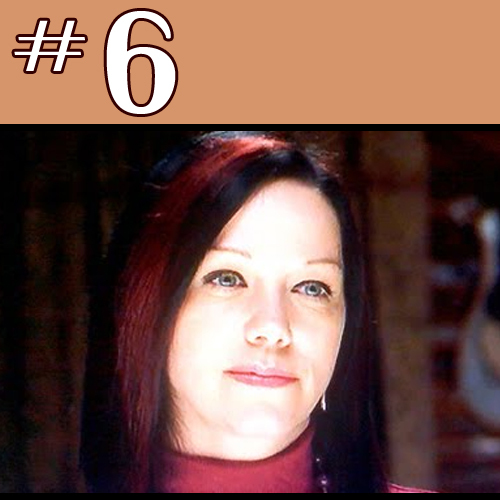 A quick browse through a sample of articles confirms they uphold the five defining adjectives in all that they do. The article on Cliff Barackman from Animal Planet's Finding Bigfoot is no exception. 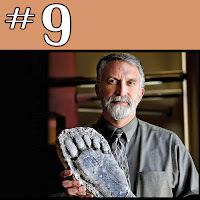 The article begins as it should, introducing the readers to Cliff Barackman and then there is a point where Cliff introduces the author to the best physical evidence we have. Bigfoot prints in the form of cast. A light bulb moment happens and the author writes about the revelation. 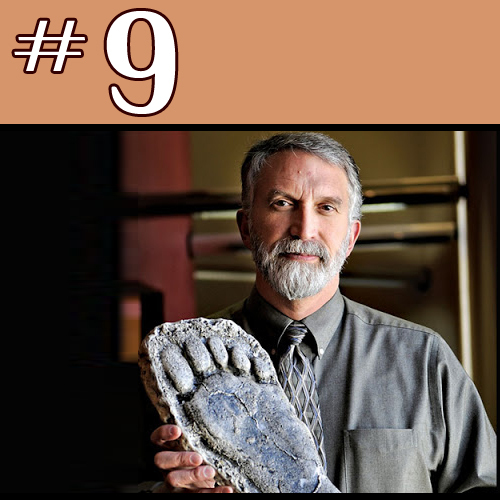 "Before we left for a drive, Cliff showed me casts from between the late 1960s and early 1980s, collected from separate locations, that appear to be of the same feet, including identifying scars and toe-spacing. My belief is that these were either the result of the most elaborate, long-running hoax in history, which would likely require a silicon-type replica complete with working robotic toes and massive weight behind it for the deep impressions, or else they were authentic. 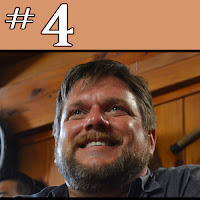 As curious as I am in the possibility of the existence of Sasquatch, I have always tried to approach the unknown with skepticism; however, I personally couldn’t conceive of any other explanation than that somehow, something akin to Bigfoot does indeed exist. 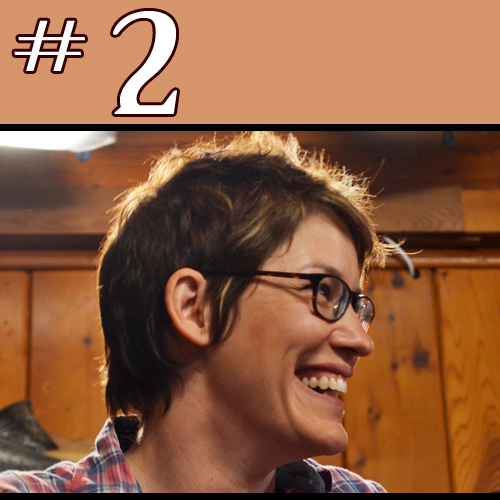 I decided in those moments to view the casts not as anecdotal conversation pieces, but as evidence." "I examined a knuckle imprint cast taken on June 1982 near Walla Walla, Washington, which includes a clear thumbnail impression. On his North American Bigfoot blog, Cliff explains, “The positioning of this thumbnail gives some insight into the thumb of a Sasquatch. It seems that the thumb is rotated outwards towards the other fingers. This makes the thumb close inwards towards the palm, like the other digits. This has been noted in eyewitness accounts. 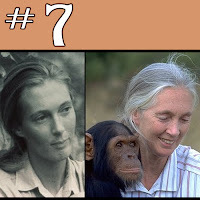 The thumbs are described as curling around objects in the same direction as the other fingers.” Generally speaking, on certain levels this comports biologically with the anatomy of some apes, yet remains uniquely Sasquatchian. I found myself in genuine awe of the evidence gathered before me, and how consistent and insightful a picture they painted of a mystery unraveling." 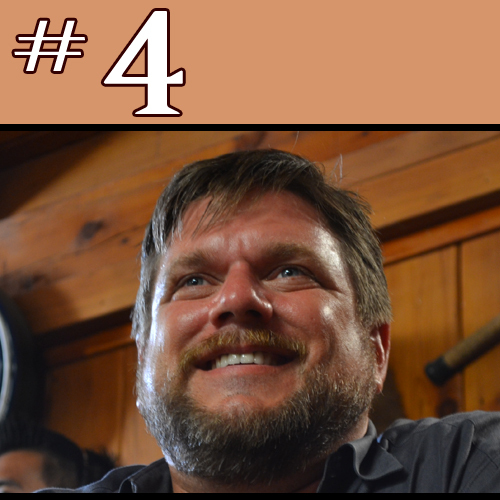 Joseph Blair writes with an open mind with healthy skepticism.You will definitely want to read the rest of the article as they go out to the woods together. 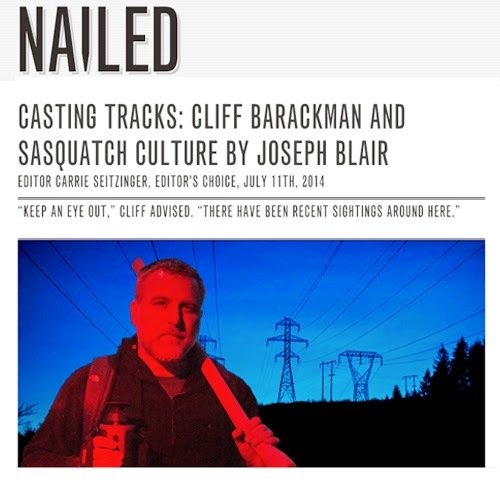 Read the whole adventure between Cliff Barackman and Joseph Blair in the Nailed Magazine article titled, "CASTING TRACKS: CLIFF BARACKMAN AND SASQUATCH CULTURE"
Last year Cliff's event sold out in less than a week. Please make sure you get your tickets. SEATING IS LIMITED. Cliff Barackman isn't your average bigfooter. 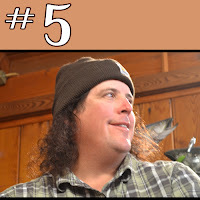 When he’s not at his job spending days and nights looking for Sasquatch on Animal Planet's Finding Bigfoot, you’ll find him on vacation—spending days and nights looking for Sasquatch! 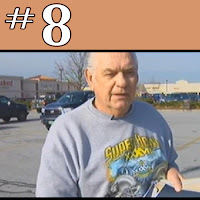 Learn what research goes on even when Cliff isn't on TV. 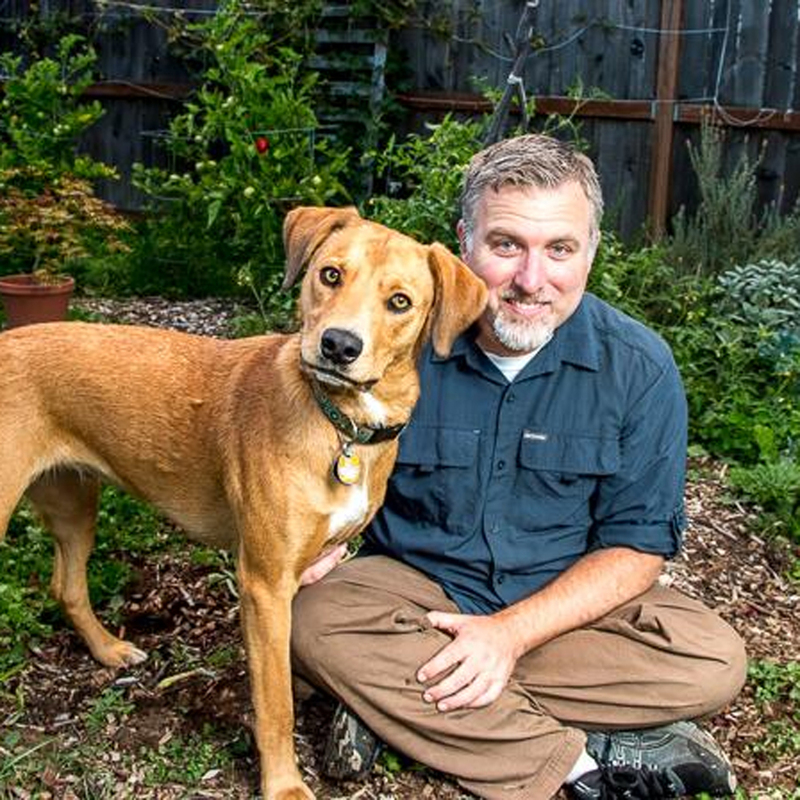 Cliff's presentation starts at 12:30pm and you will have the opportunity to ask Cliff your own questions. RESERVE YOUR TICKET TODAY! SEATING IS LIMITED!!! Becoming a member guarantees you VIP seating at every event for a year and a collector's tshirt, plus the latest news for all HopsSquatch activities before the public. Get behind-the-scenes information from the experts and become Bigfoot insiders learning what is on the horizon of Bigfoot research. Cliff Barackman, Host of Finding Bigfoot will kick off this series on April 28th. Below is the April 28th Schedule. Cliff's Presentation - Sharing his latest research! 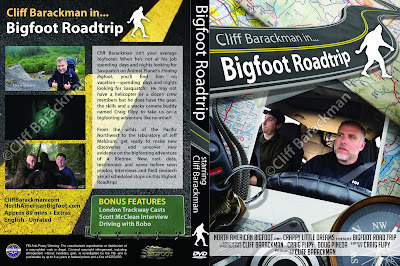 Preview of Cliff's new DVD - First time screened in public! 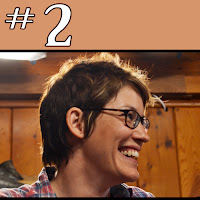 Moderated Q&A -You get to ask Cliff Questions! 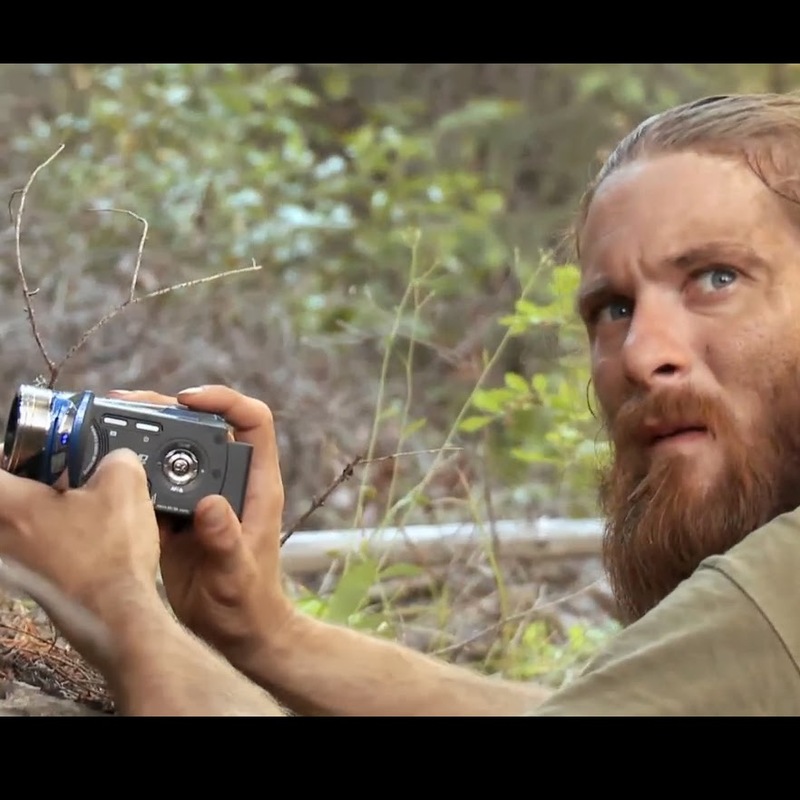 Preview of New Bigfoot Documentary, "Dead Bigfoot." Cliff Barackman does it again. 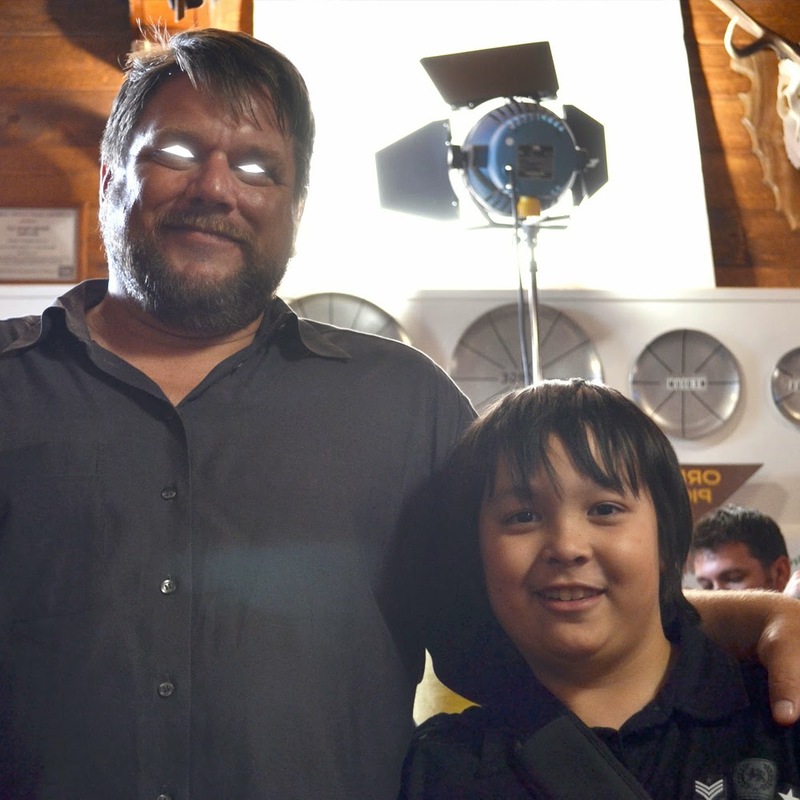 With each new interview he continues to be the representative of a pragmatic approach to bigfooting. He must on a mini media tour via satellite. Earlier today, Cliff was interviewed by an Indiana news station. 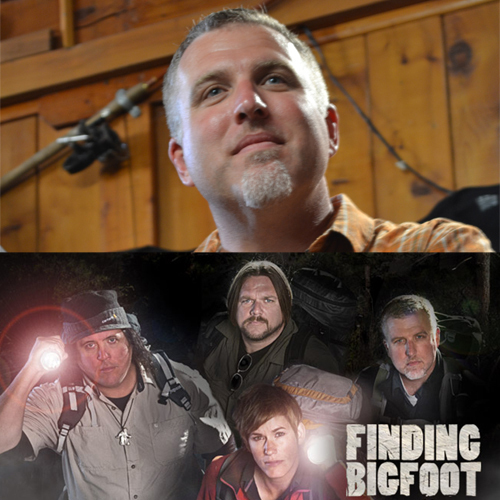 Below is the companion story, info on the upcoming Bigfoot conference to be held in Dahlonega, and the video interview with Cliff Barackman. 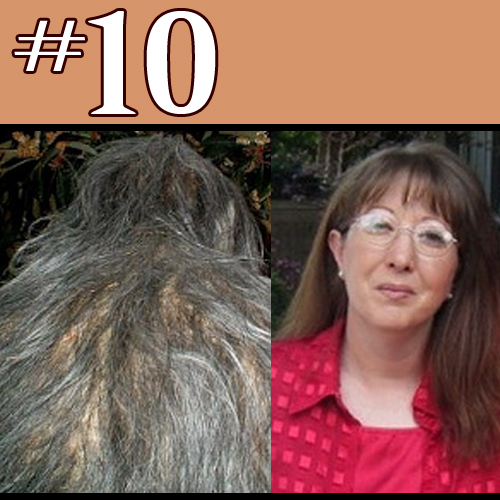 Stories have been passed down for generations about the hairy ape-like creature known as Bigfoot. The city of Dahlonega is holding the Southeast's first-ever Bigfoot conference. Believers or skeptics can attend the event on Jan. 12 and 13 at the R Ranch. 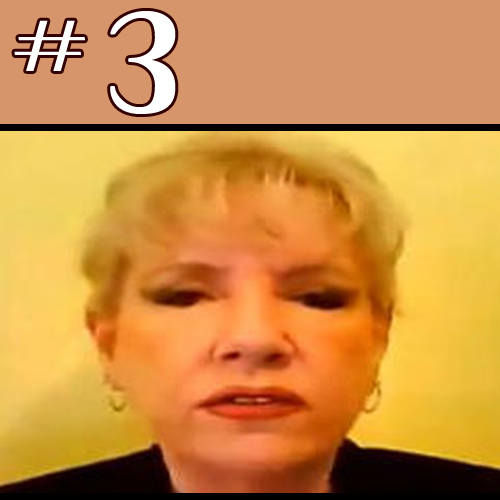 Blogs about Bigfoot sightings and photos of footprints have spread across the internet like wildfire. The mystery of the larger-than-life creature is so popular that Animal Planet is kicking off another new season of Finding Bigfoot. 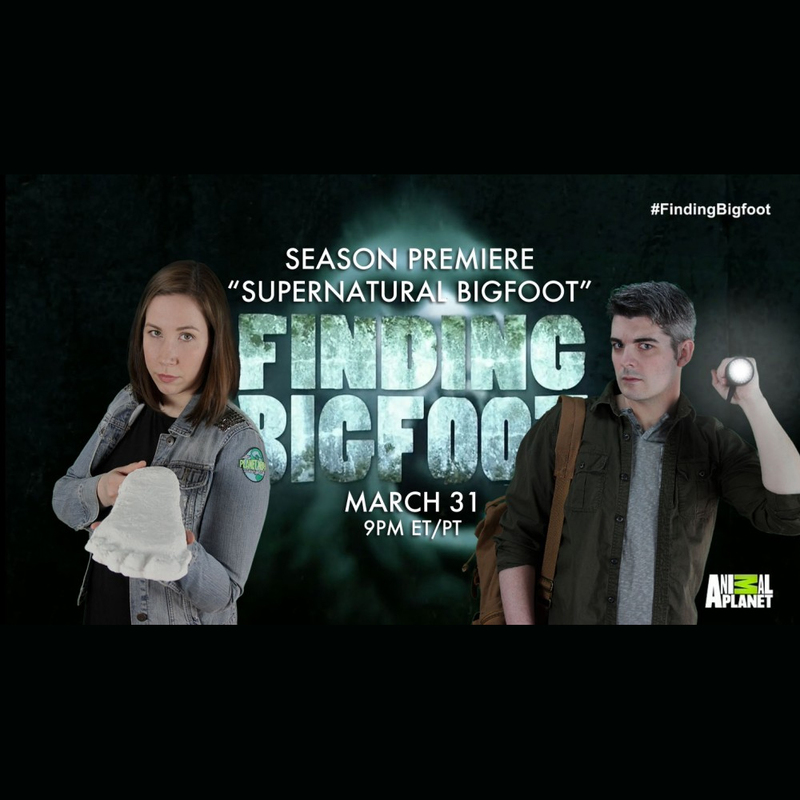 The series investigates evidence that may prove the existence of the elusive creature. 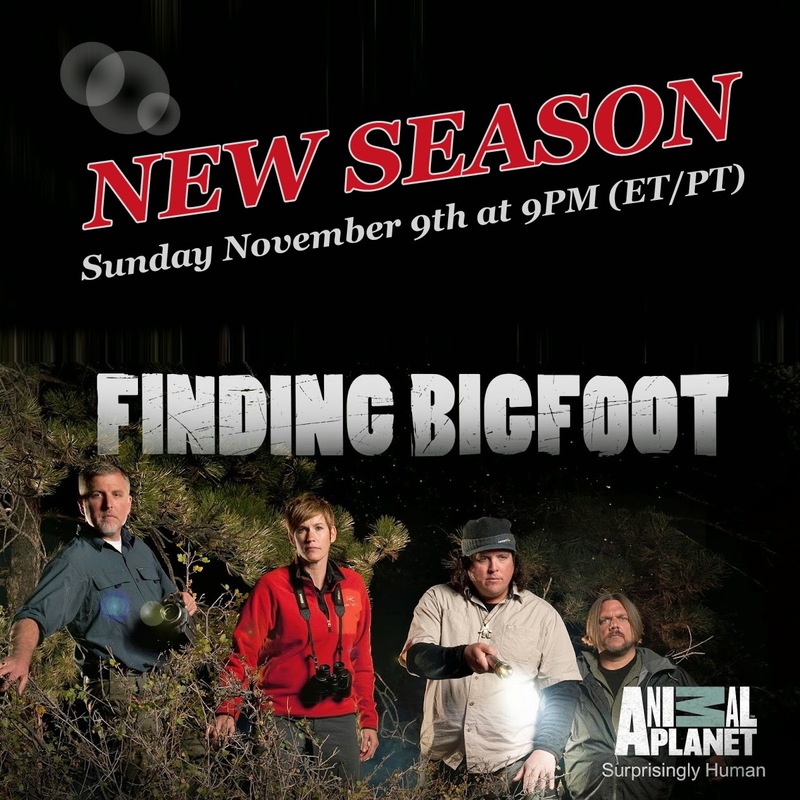 This season, investigations take the team farther across the globe and further into Sasquatch history than they've ever traveled. 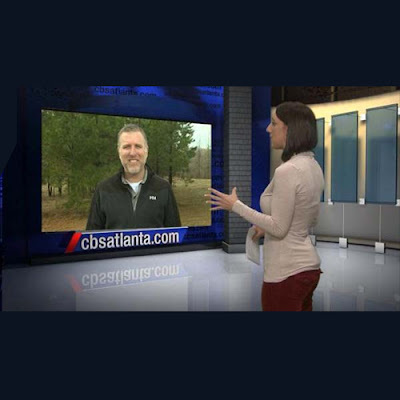 CBS Atlanta's Jennifer Banks spoke to Bigfoot researcher Cliff Barackman who is a star on the show. 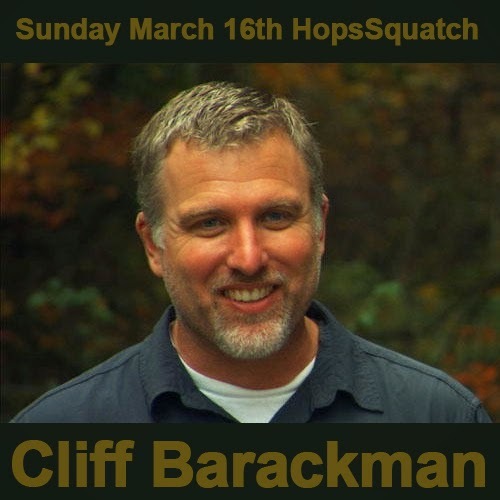 Barackman said he has always been fascinated with the subject of Bigfoot. 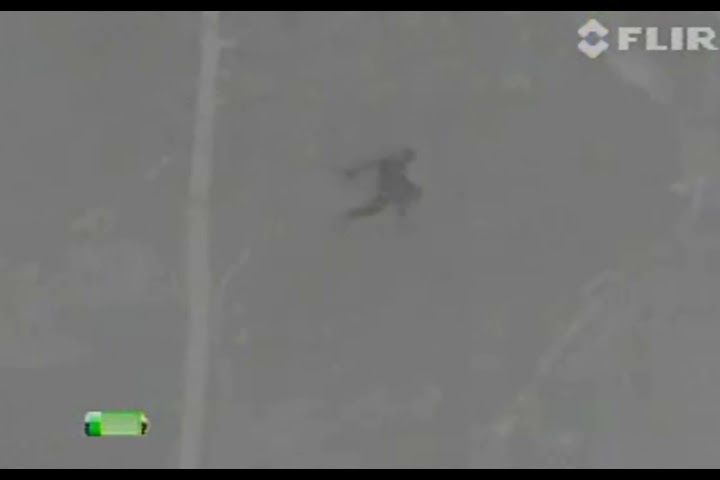 The researcher said he believes that Bigfoot is an actual species. 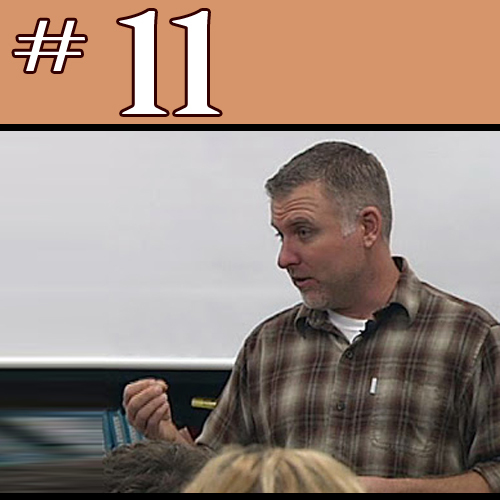 If you think Barackman is crazy, he doesn't care. 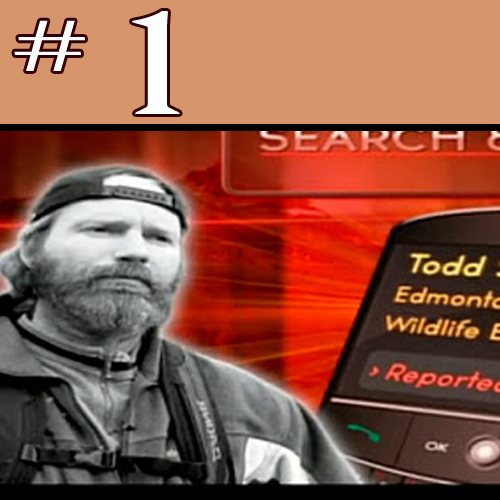 He said the evidence speaks for itself and data suggests Bigfoot is a North American primate. 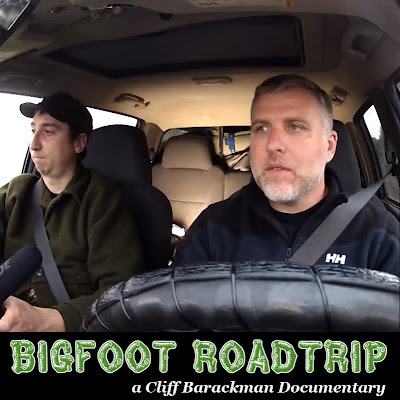 If you want to search for a Bigfoot for yourself, Barackman suggests you head to a natural preserve or state park. 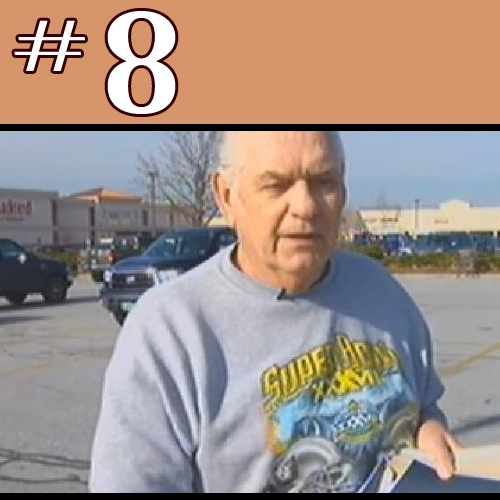 You will need to research if there have been sightings around your area. 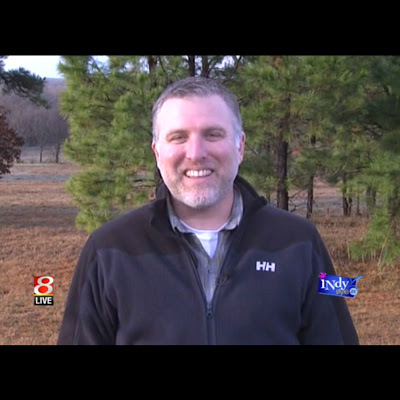 "Look for food, water and cover," said Barackman. 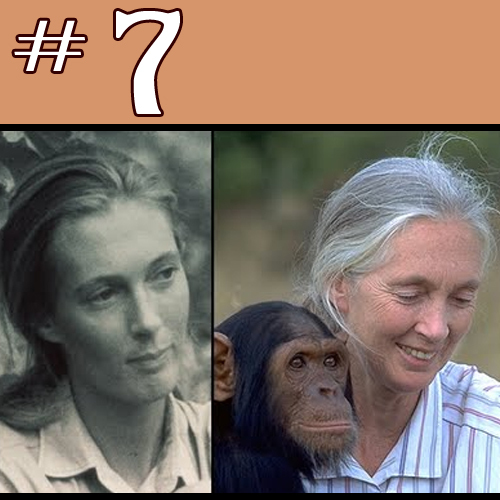 You also want to look for a concentration of animals because, wherever that happens, there is more likelihood that a Bigfoot might wander through that area once in a while. 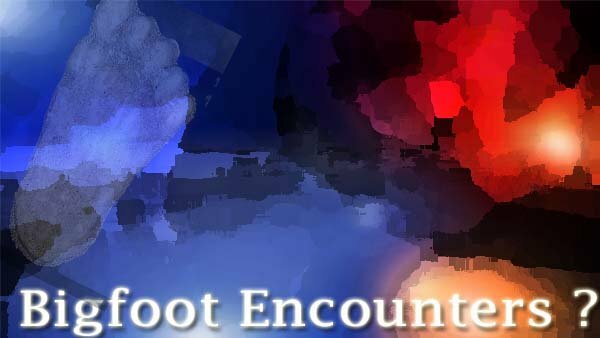 If you want to learn more about Bigfoot, on Jan. 12 and 13 the city of Dahlonega is holding the Southeast's first Bigfoot conference. The Midnight Walkers Southeastern Bigfoot Conference will feature an interdisciplinary panel of speakers who will address Bigfoot language, field research and other topics. In a five minute live interview Cliff Barackman answers questions to Indiana's WISHTV. He seems to be in location in Texas. You can watch the video after the companion article below. 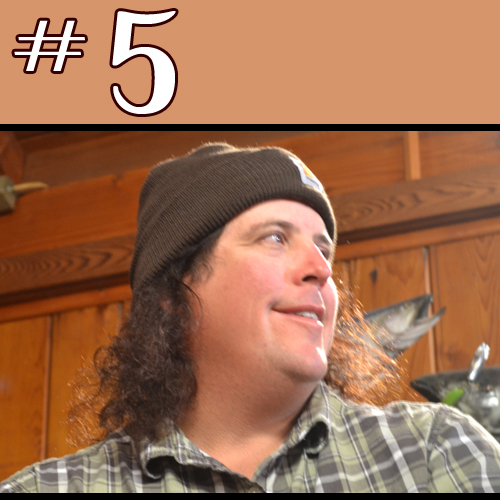 It was in college that Cliff's curiosity in Bigfoot moved from a quirky interest to an obsession. Having a sizable break between classes, Cliff started spending time in the college library reading books on his various interests. After researching Bigfoot, he realized that not only was Bigfoot interesting, but it might actually be a real, biological creature. 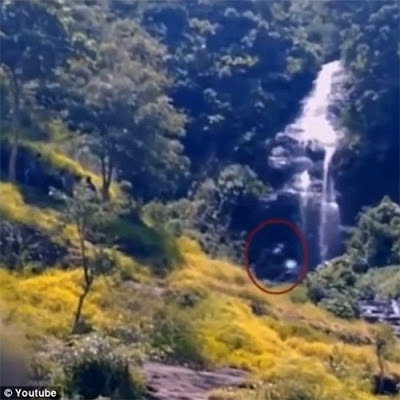 The Team of Bigfoot Researchers expands its search in North America and beyond to investigate the sasquatch phenomenon known as "yowies" in Australia and the "orang-pendek" of Indonesia. 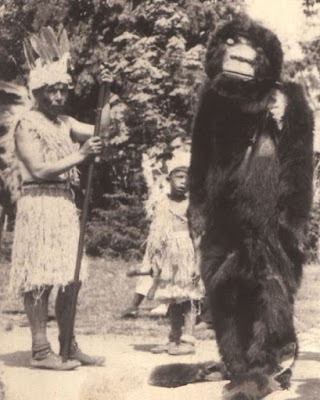 Legends of bigfoot-type primates persist in cultures all over the globe. 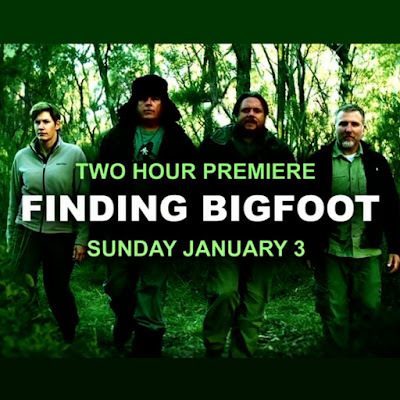 So the bigfoot team attempts to campture proof of these elusive Australian and Indonesian creatures by immersing itself in local yowie and orang-pendek culture and lore and using that information in their investigations. 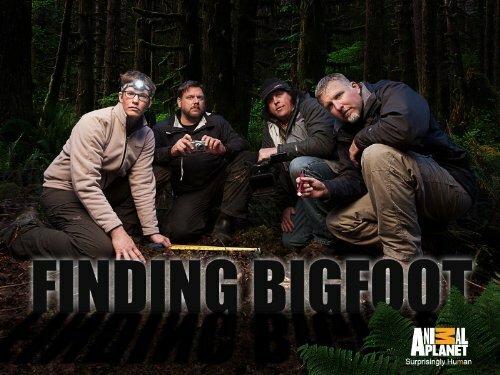 With the knowledge of the locals and their own experiences researching sasquatches, the team is hot on the trail to locate these distant cousins of the North American bigfoot in the remote terrain and jungles of these far-off lands.